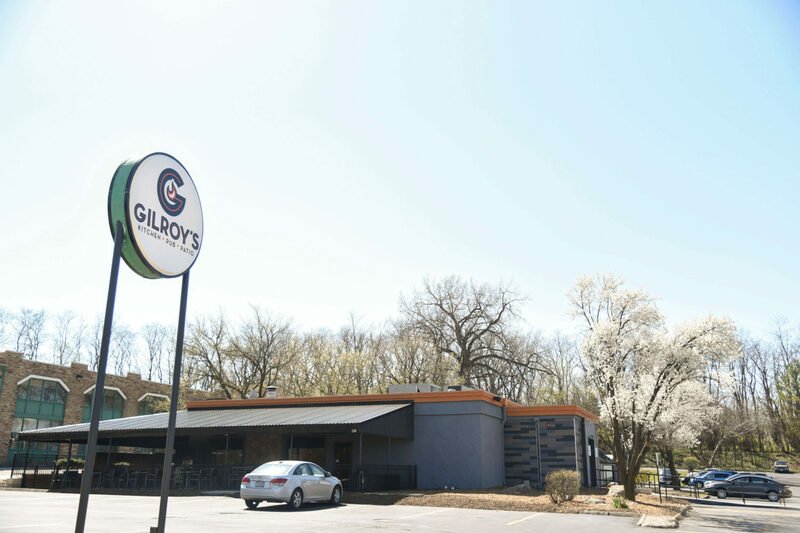 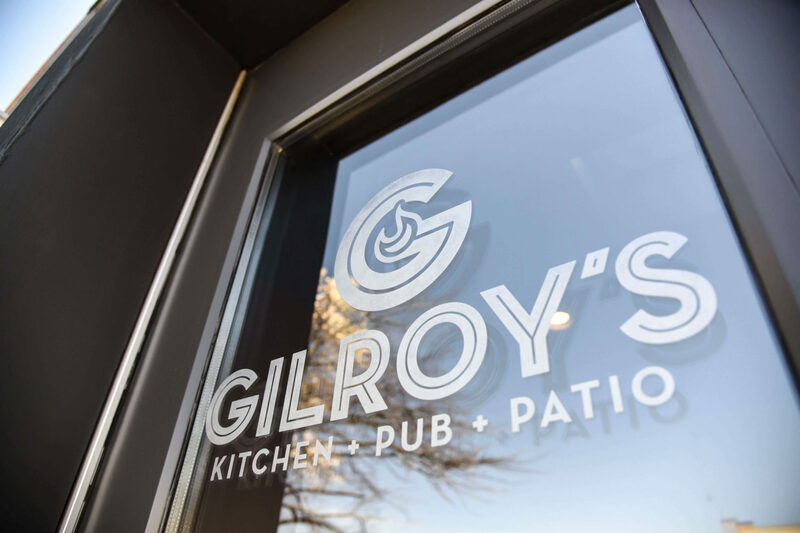 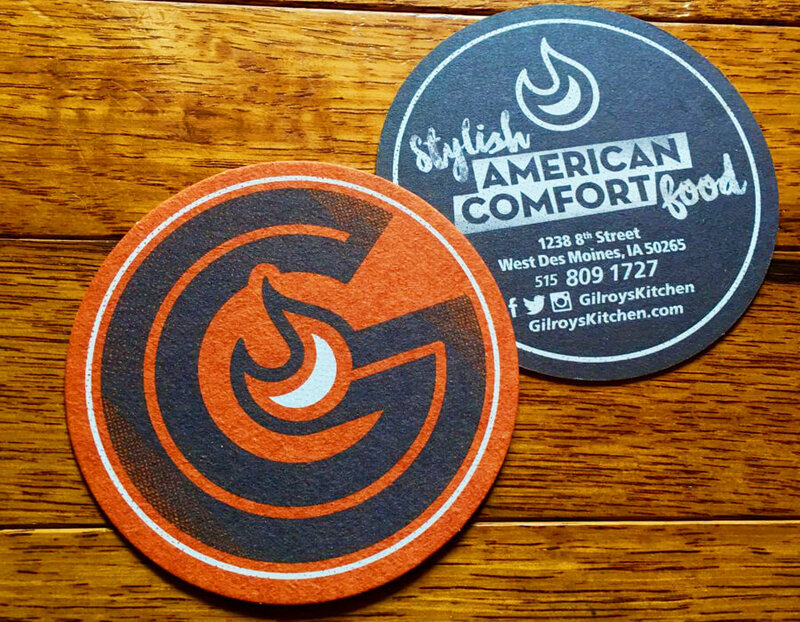 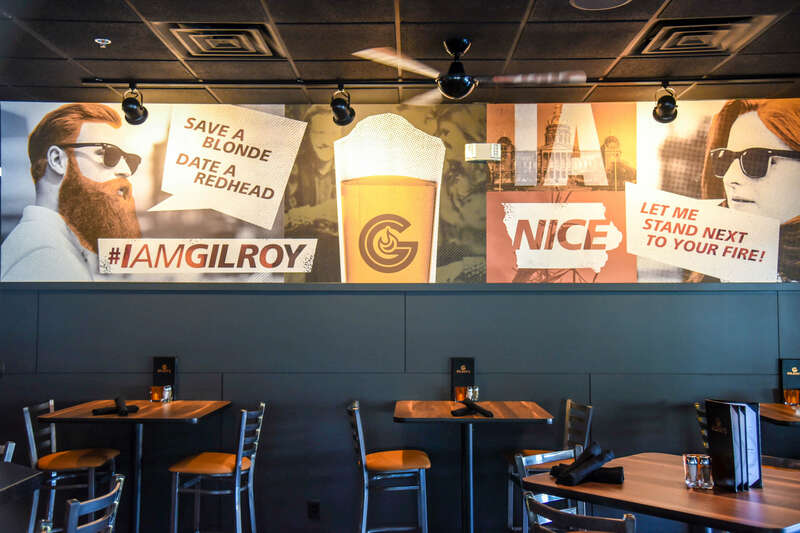 Farmboy worked with local restaurant veterans from Des Moines culinary scene, including Court Avenue Brewing and Americana, on their newest and boldest project yet: Gilroy’s Kitchen + Pub + Patio. 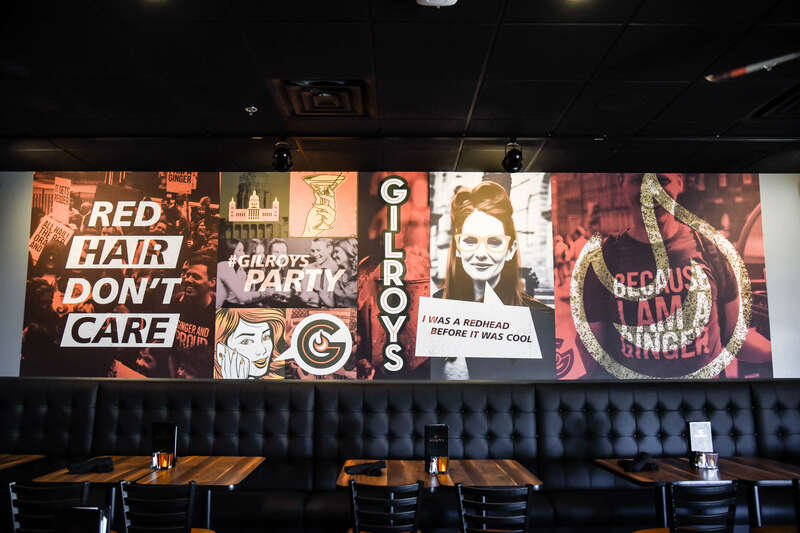 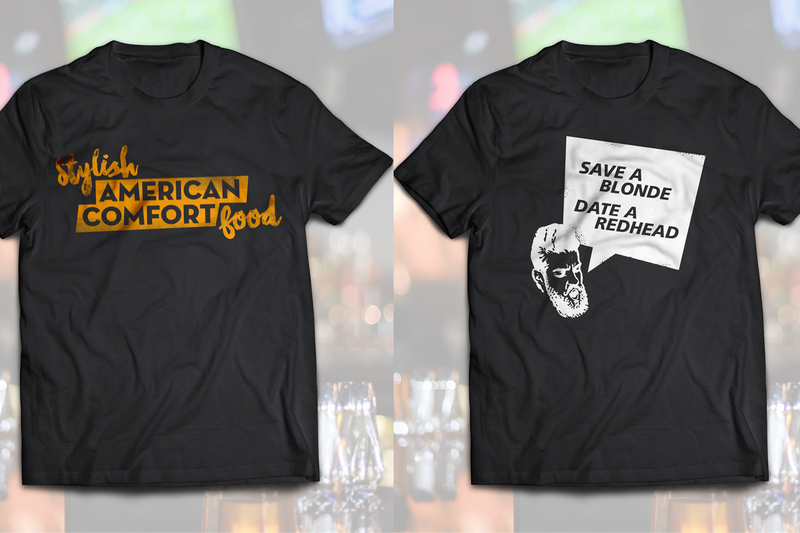 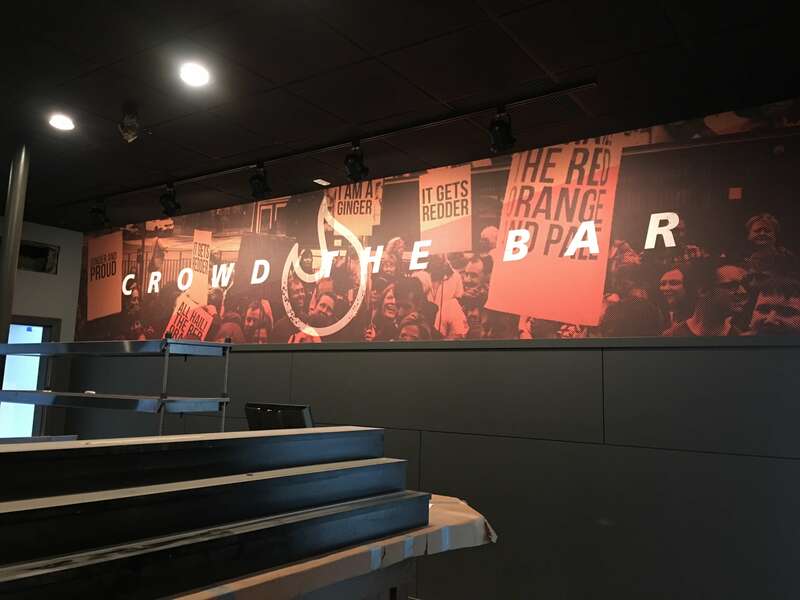 Farmboy was involved every step of the way, handling branding, identity, signage, environmental graphics, t-shirts, 4 mixed-media murals throughout the restaurant, and more! 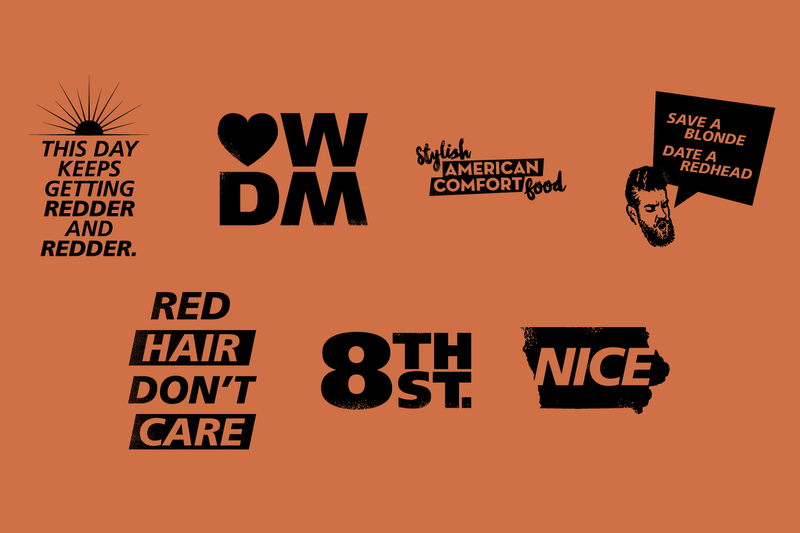 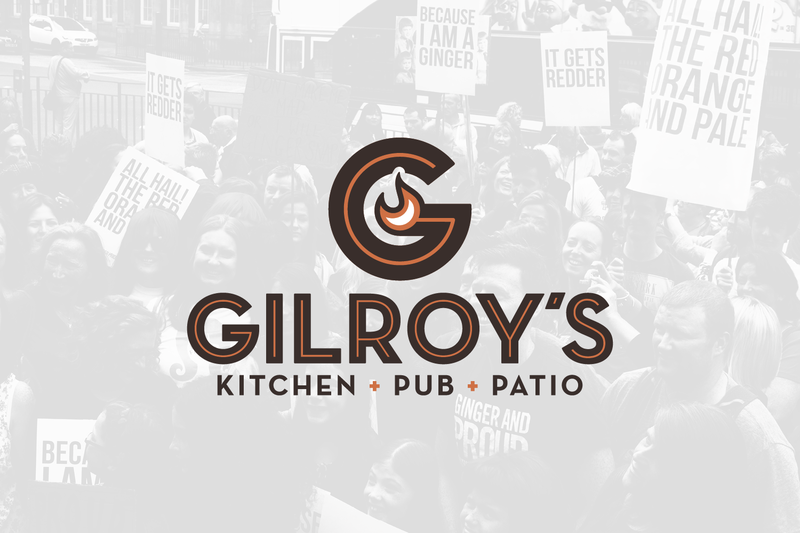 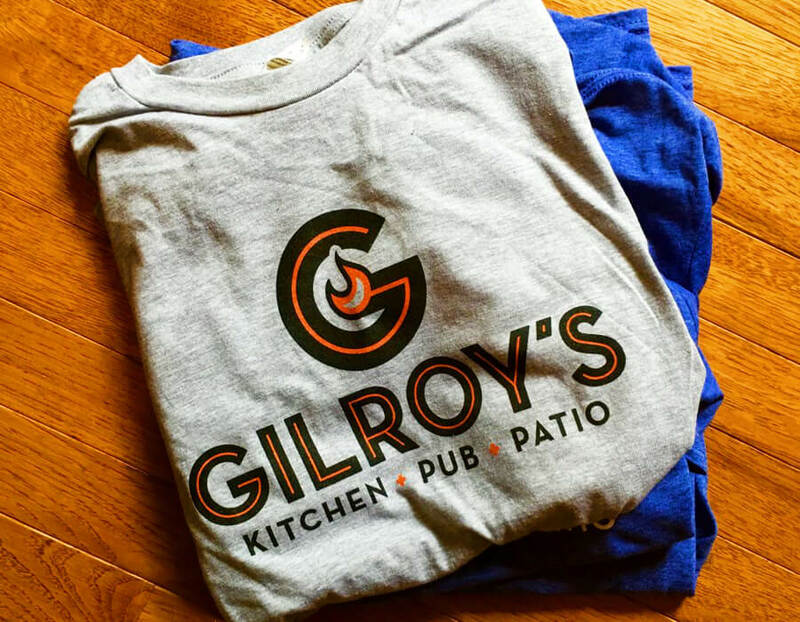 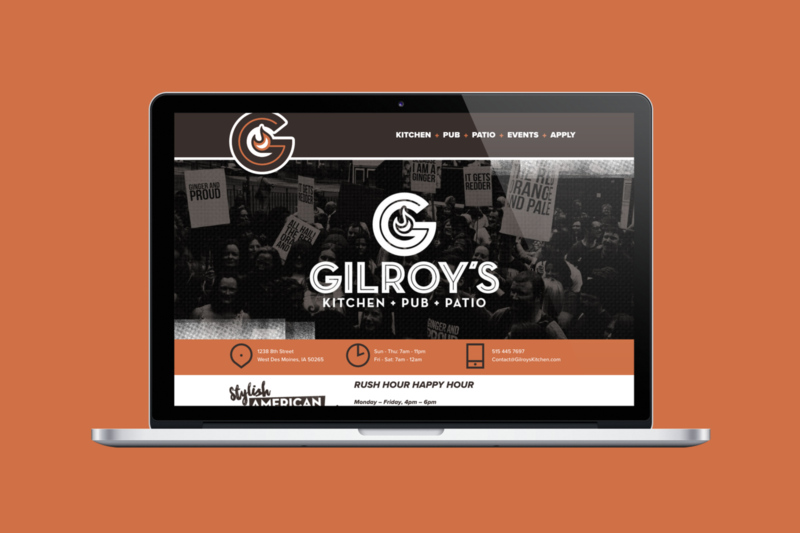 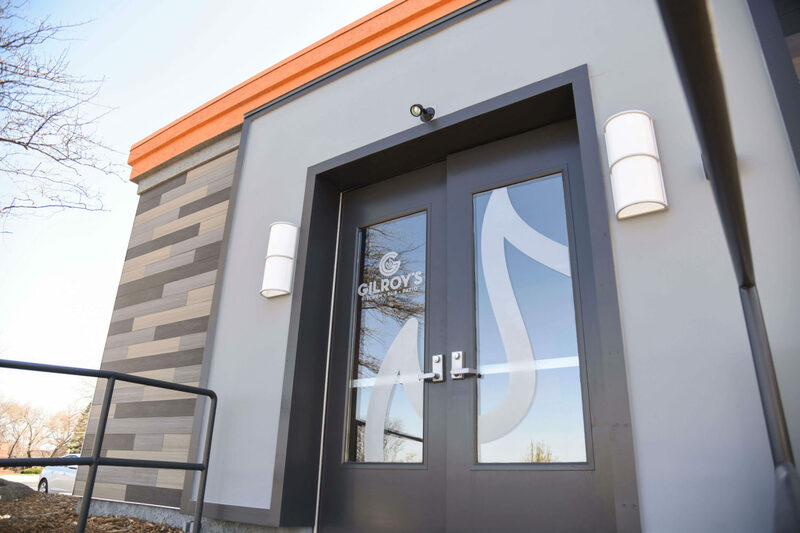 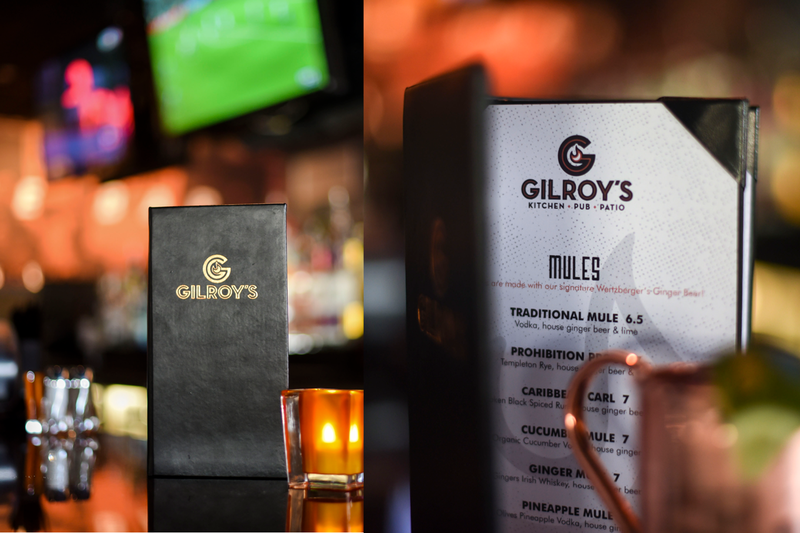 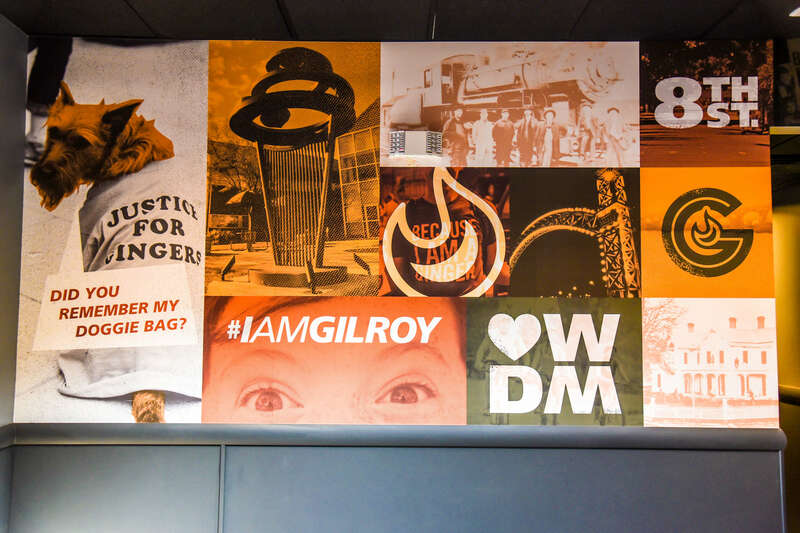 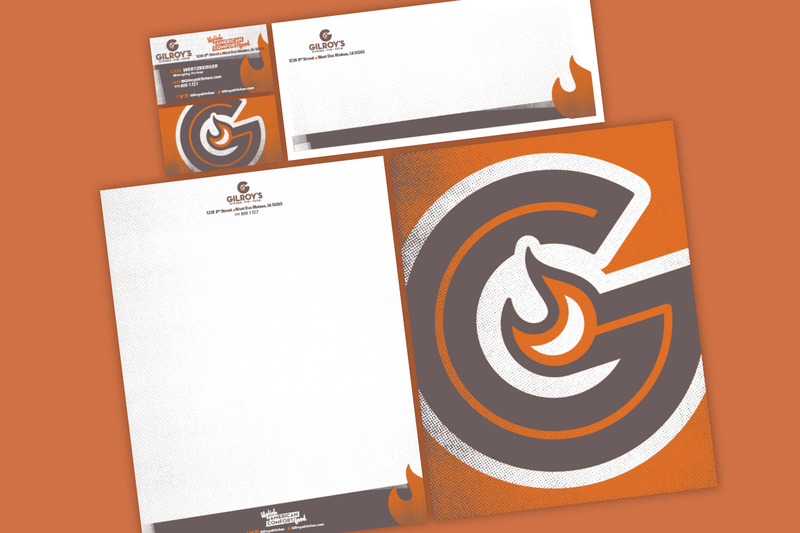 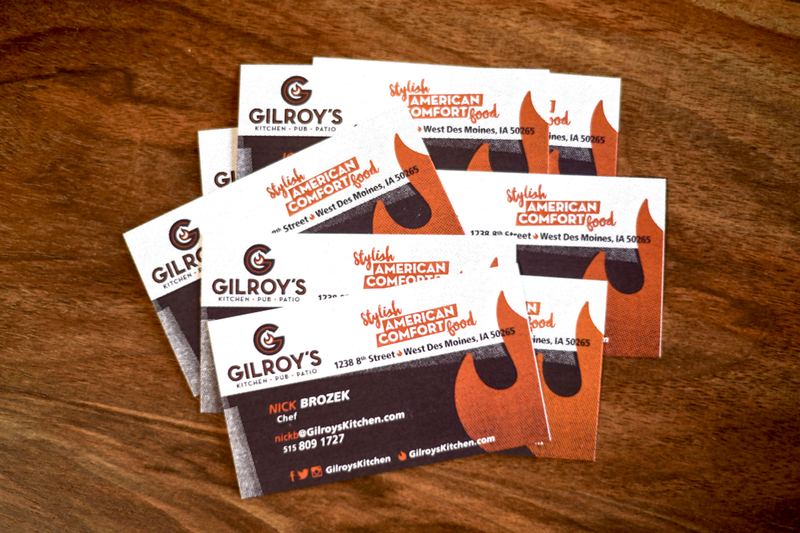 The name Gilroy’s is gaelic for “son of a redhead,” and its off-center humor is used both in subtle and sometimes not-so-subtle ways throughout the brand experience.